Have you ever sat at a traffic light and watched pedestrians cross in front of you and looked for that one guy who could be a romance hero? How about when you’re waiting in line at the grocery store? He doesn’t show up very often, does he? So far as I’ve heard no one has ever done a survey to see what percentage of the human race is blessed with the kind of looks that abound in romance novels, but my guess is it’s not a high percentage. So when one of my first readers for Dancing on Coals was so intrigued by the story she surfed the web, looked at photos of Apaches from those days, and called me and said, “They’re not very good looking, are they?” she made me laugh. My guess is the percentage of knock your socks off good-looking people in every group is about the same—and never very high. In an Author’s Note at the end of Dancing, I mentioned that what inspired the story was a sketch of Victorio, Chief of the Warm Springs or Mimbreño Apaches. The image here is the one I originally saw. This sketch, drawn in pencil from life, is the only image of Victorio ever made, but several different versions of it can be found on the Internet. When I was researching for Dancing, I came across one version that had the light gone from the eyes. Everything that attracted me disappeared with that light. When Regan Walker posted a review of Dancing on her blog, she found a colorized version of the sketch, and it too killed everything that originally appealed to me. The version here is the one I first saw and never forgot, and I believe it’s a true copy of the original sketch. 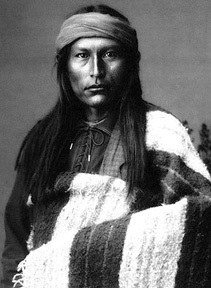 However, during my research, I also came across several photos of Cochise’s son, Naiche. Victorio was killed by the Mexican army in 1880, although he did spend time on a reservation before that, which is when the sketch was done. Naiche lived to surrender to the U.S. Army and then lived through the 27 years the U.S. Government imprisoned the Chiricahua as prisoners of war in Florida, Alabama and Oklahoma, so there are quite a few photos of him. It’s hard to believe a grown woman could have a crush on someone who has been dead almost a hundred years because of an old photo, but that’s the effect those photos of Naiche had on me. In my research I came across a sentence that slapped me with the reality of the depth of racial prejudice of the times. 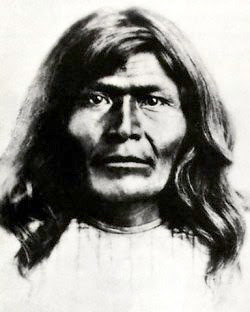 I didn’t write it down exactly, but from memory: “This is a photo of Naiche, the son of Cochise the Apaches consider handsome.” I don’t know about you, but while someone could certainly say, "I prefer blonds," or pug noses or whatever, anyone being honest would have to admit Naiche was handsome—very handsome—and like his father, he was that romance hero 6 feet tall. 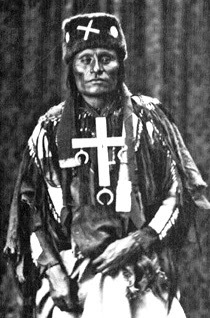 Last, here is a reservation-era photo of Little Wolf of the Cheyenne. He was one of the chiefs portrayed in the movie, Cheyenne Autumn. 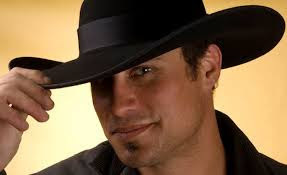 I can’t say that when I wrote Eyes of Silver, Eyes of Gold, I pictured Cord Bennett, who is half-Cheyenne, as looking like this, but I did picture him as having ancestors on his mother’s side who did. These photographs and the sketch are all in the public domain. I wanted to be seasonal with this post. After all, Halloween has always been one of my favorite holidays - even if it doesn't get us a day off. It's not the easiest topic to mesh with historical westerns, so forgive me if I stretch the point a bit. Hallowed Evening has it's roots in Samhain, the Celtic new year. It makes sense that the end of the harvest, when the trees dropped their leaves and plants withered from the frost, that the year should also die. Out of the death of the old year, a new year would gestate over winter to be born in spring. At the the death of the year, the Celts believed that the living world would overlap with the land of the dead. It was an opportunity for the living to connect with loved ones that had died, but it was also a time when the wrong, angry or just malicious spirits could have revenge on the living. Most of our modern traditions come out of that belief. We carve pumpkins into Jack-o-lanterns (originally turnips were used) to scare away evil spirits. We dress up because our ancestors believed that we could trick the dead by wearing a disguise. 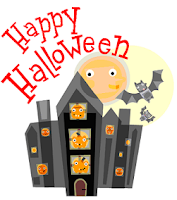 Trick-or-treating had it's roots in "souling". Poor children would go door to door saying prayers for the dead in exchange for cakes. The trouble is, Celtic cowboys notwithstanding, I've found nothing to suggest that Hallowe'en was a celebrated in the old west. Just as I was about to throw in the towel, I remembered Día de los Muertos - the Day of the Dead. In Mexico, the Day of the Dead is a big celebration. As with Samhain, the dead are thought to come back to visit the living, but instead of hiding out, the Mexicans throw their dearly departed a big party. 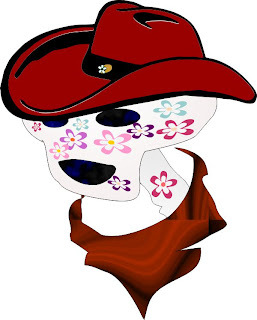 Best of all, in Texas at least, Dia de los Muertos travelled to the American West. The roots of the Mexican festival go back to the Aztecs and Mictecacihuatl, the queen of the dead. When the Spanish conquered Mexico, their missionaries forced the indigenous people to adopt Christianity. They adapted the local customs so Mictecacihuatl's festival was blended with All Saints Day and Día de los Muertos was the result. And so, in the tradition of Día de los Muertos, I give you the La Vaquera Catrina, The Beautiful Cowgirl. 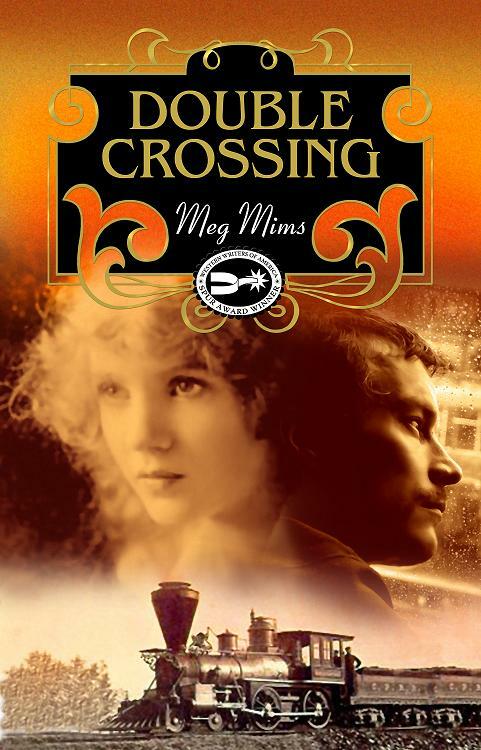 I loved researching the 1869 transcontinental railroad to use in my Spur Award winning novel, Double Crossing. I had no problem finding historical photos of the Pullman interiors, maps of the route, timetables, the differences between the Union Pacific and Central Pacific cars, converting the seats to sleeping berths, eating at the way stations (dining cars hadn't been invented yet) and types of meals offered at various points - even prices of certain food - plus what some passengers endured crossing bridges and the like. When it came to my characters' more--uh, personal needs, I didn't find much. Ahem. And here's a diagram of ... well, actually I couldn't find a diagram of the train's toilet. 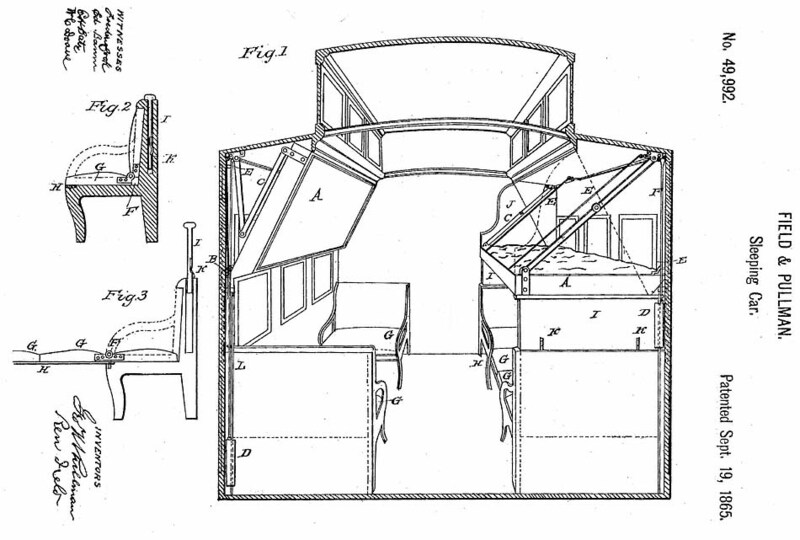 But I figured from what little research I could find that trains back in 1869 used "hopper" models. I'm thinking they probably had the "outhouse" style of seat, probably made of wood, but also a "drop chute" where whatever was deposited inside dropped to the tracks. One woman in her late 80s or early 90s wrote me an email after she finished reading Double Crossing. She thanked me for reminding her about those wonderful memories of lifting the commode lid and the feel of cold air on a bare bottom! I had a laugh from that, plus reassurance that my research was accurate. I also discovered that many trains around the world still utilize the "hopper" style toilets. Some trains have just a hole in the floor! We are lucky that Amtrak has the blue chemicals now to reduce odor in the retention tank. So when they're "out of service" -- just be thankful that American train tracks are a bit cleaner now. I opened the washroom door, closed it behind me and stood there, alone. My head pounded. The blood staining the carpet and sheets should have been mine. I lifted the commode’s lid. The railroad ties flashed past below the open hole. Dizzy, I closed my eyes and heaved up bitter bile. I fought for control when nothing was left in my stomach and leaned against the train’s shaking wall. This title to this post contains a familiar line from a famous old song...one which might have been more appropriately sang by the plains Indian tribes, among which the Sioux counted. Their very lives depended upon the shaggy beast that gradually disappeared from the prairies as white men took sport in killing this poor-sighted animal. Ritualistic in thought and deed, each year throngs from the nomadic Indian tribes gathered for what was known as a Summer Sun Dance to pray, make offerings, visit, and prepare for a buffalo hunt. Stripped down to breechclouts and moccasins, and riding downwind because of the animals superior sense of smell, mounted warriors darted in and out of the herd, trying to drive a major number into a circle so they could easily be picked off with their bows and arrows. Many men lost their lives in pursuit of the massive prey. Returning to to the camp with an ample kill was cause for celebration. While the women did the majority of butchering and readied meat for the cooking racks, the man often ate raw organs such a livers and kidneys...a sign of strength and virility. The tongue and hump were favorites upon which the majority of the tribe feasted, but nothing was wasted. The scraped skins served a variety of purposes: swaddling for the young, shrouds for the dead, and anywhere from six to 28 pelts sewn together to cover a tepee. Once tanned and softened the hides were made into shirts, leggings, dresses and moccasins. During autumn hunts, the longer haired pelts served the people well as blankets and robes. The animal was revered and thanks always given to the Great Spirit for prosperity in a hunt. Even the sinew for bows and sewing came from buffalo tendons and rawhide. Woven hair served as strong rope, cradleboard stuffing, pillows and horse blankets. Horns were fashioned into spoons and vessels from which to drink, while even the bladder became a pouch sufficient for hauling water and the paunch, a cooking pot. Suspended over a fire on four sticks and filled with water heated by hot rocks, the stomach made a fine cooking kettle. What meat left over from the celebratory feasts was dried into jerky or pounded together with fat and berries into something called pemmican which sustained the families through the winter months or nourished warriors who journeyed away from the village. I'd be lost without my research source purchased years ago: America's Fascinating Indian Heritage. I've learned so much from this book from Reader's Digest and authored by James A. Maxwell, I've practically memorized it. My love for the American Indian is endless. I can't explain the fascination or adoration, but I do know that my next book will be about an Indian heroine. You had to have been strong to have survived as a female, facing the hardships, expectations, and tribulations of what we know as the old west. There's just so much to tell. We all have them, that one pair of jeans we adore and hope they never wear out—or that we outgrow them. Replacing them is awful! Even if we have a favorite brand, we aren’t guaranteed a new pair will be as perfect as that one pair. 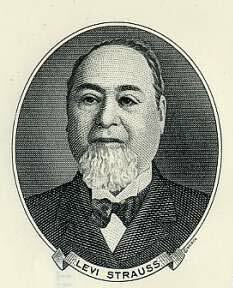 No matter what your favorite brand is, we do have one man to thank for creating ‘jeans’. Born in Bavaria in 1829, Levi Strauss, at the age of 18, moved to America to work for his brothers who had opened a dried goods factory in New York. During the California gold rush, it was decided Levi would be the family representative to open a West Coast branch of the family business. 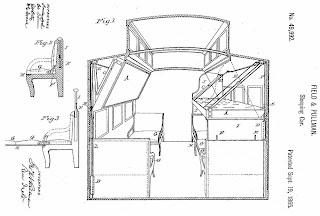 After gaining his American Citizenship in January 1853, Levi sailed to San Francisco, arriving in March with the plan of manufacturing tents and wagon covers for the gold miners. Finding no market for such items, Levi, a trained tailor, sewed the stout canvas he’d brought with him into extremely durable pants. The miners found the clothing tough and resilient, perfect for their line of work. Word of the “wonderful pants of Levi’s” spread quickly, and sold out as fast as he could make them. Strauss opened a factory on Battery Street in San Francisco and within a few years, started using a heavy denim material the French called ‘genes’ instead of canvas. Thus ‘jeans’ were born in America. Strauss formed a partnership with a Nevada tailor in 1872 who had started adding copper rivets at the stress point in pants, making them more hard-wearing. The two of them received the US patent for the rivets in 1873. Levi never married. Besides his success in the clothing industry, he served as a director of an insurance company, a utility company, banks, and a variety of charitable organizations. Upon his death in San Francisco in 1902, four of his nephews, (sons of his sister Franny who had moved to California to work with him) inherited his business. 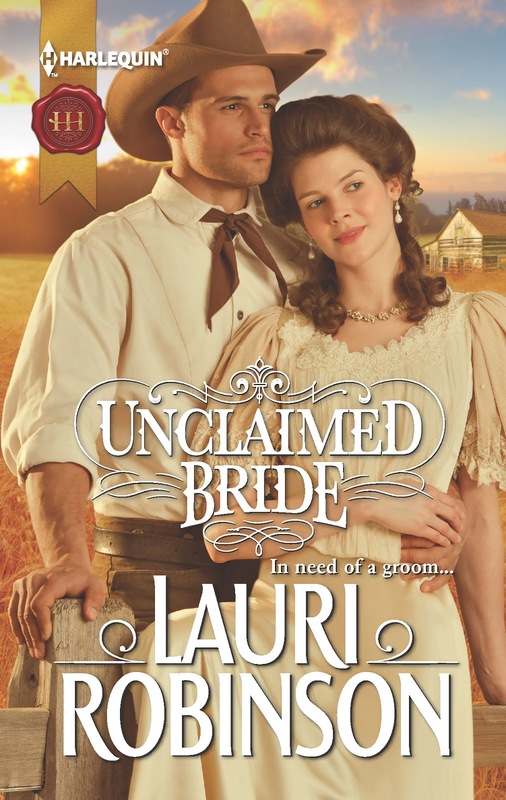 Neither jeans nor California are in my next book, Unclaimed Bride, which will be released this week from Harlequin, I just found Levi’s story an interesting tidbit—must be the fall weather. If you have a chance to visit Paty Jager’s blog, this Wednesday, I have more fun tidbits there, along with the opportunity to win an autographed book. Last month, I wrote about the origins and uses of sourdough in The Joy of Sourdough Baking. This month, we'll dive into the flour and make things happen. The be-all and end-all of sourdough baking is the starter, sometimes called the sponge. Let’s make some! Mix the flour and water together in the container, cover with cloth, and put aside (room temperature). Pop a beer or diet coke and relax. It's time for the little sourdough beasties get busy. At the top of the mixture, you should see a liquid with dinky little bubbles. This is the airborne yeast at work for you. Stir the starter two or three times (you'll feel the gluten forming), then cover with cloth. Forget about it until tomorrow. Yes, the beasties are at work again. Your starter should be smelling sour by now. Lots of little bubbles should be on top and through the sponge itself. Remove half the starter and throw it away. Cover and forget about it for two days. Day 6: guess what? You can make pancakes! I love sourdough pancakes. In fact, since we started eating them, I don't even care for the regular baking powder variety anymore. Sourdough pancakes have less sugar, salt (because there's not a tablespoon of baking powder), and oil so they're much better for you. If you're watching your cholesterol, you can eliminate the egg, although I prefer to use 1/4 cup EggBeaters. If you have a big family, mix up 2 cups of flour and 2 cups of water and stir into starter the night before, then double the recipe. Mix all ingredients in a 2-quart bowl (the batter grows!). If the batter is too thin, add a little extra flour. Too thick? Add a spoon or two of water. Feed starter with 2 cups of flour and 2 cups of water. Don't forget this step! Butter, syrup . . . Yum! Our family prefers whole wheat so the day before I take a cup of starter and mix with 1 cup of water and 1 cup of whole wheat flour. Then feed the original starter. I use the whole wheat starter to make the pancakes. Actually, that should be in past tense because I don't eat wheat anymore. Spelt should work but I haven't tried it yet. The longer you leave the starter, the more sour the taste. Nowadays, many people prefer the sourness, but in the Old West, they wanted light, fluffy, sweet pancakes. The starter needs to be used every four or five days at least. If you're not going to use it for three days, refrigerate it, but be sure to remove the starter from the refrigerator the night before you cook with it. Don't use plastic bowls or utensils. Ever. After you've used the starter a few times, you'll end up with a whole lot more than you need. Share with friends! Freshly-ground flour makes all the difference in the world. Give it a try! For johnnycakes: the night before, mix one cup of starter with one cup of cornmeal and one cup water. Use the same recipe as pancakes. Delicious! A bit of ghostly history, Texas style . . . Opened by German immigrant William Menger in 1859, only twenty-three years after the fall of the Alamo, the Menger is one of the oldest and most famous hotels in Texas. It also owns the title of "The Most Haunted Hotel in Texas." file from the Wikimedia Commons; licensed under the Creative Commons Attribution-Share Alike 2.0 Generic license. The hotel first catered to patrons of Wm. Menger’s brewery, the first brewery in Texas. So popular was the hotel, that Menger soon had an addition built between the hotel and brewery, with a tunnel connecting the two. Menger died at the hotel in 1871, leaving his widow and son to run the establishment. After railroad service reached San Antonio in 1877, the Menger became the best-known hotel in the Southwest. It offered fine cuisine in the Colonial Dining Room, including turtle soup made from turtles caught in the San Antonio River. An east wing was built in 1881, and in 1887, a replica of the taproom in London’s House of Lords Club was added. With its cherry wood bar and paneling, French mirrors and elegant atmosphere, the taproom was the toast of the town. The Menger has changed hands more than once. It’s been enlarged and modernized several times, and was added to the National Register of Historic Places in 1976. Down the years the hotel has hosted military leaders such as Phillip Sheridan, William Tecumseh Sherman, Robert E. Lee, George Patton and Jimmy Doolittle. Presidents Ulysses S. Grant, Benjamin Harrison, Theodore Roosevelt, and Dwight Eisenhower have also slept there. In Teddy Roosevelt’s case, he stayed there three times, twice before becoming president. During his second visit, he recruited cowboys for his Rough Riders in the Menger bar. The story goes that as cowboys walked in, he would ply them with drinks and jovially recruit them to fight in the Spanish American War. Since his passing, Roosevelt has reportedly been seen sitting in the dark barroom, drink in hand, more than once. Other celebrities who stayed at the Menger include authors Oscar Wilde and O. Henry, film star Mae West, and baseball great Babe Ruth. Captain Richard King, founder of the famous King Ranch, kept a personal suite in the hotel. After learning he hadn’t long to live, King spent his last few months there, writing his will and bidding friends farewell. His funeral was held in the Menger’s parlor. King’s old room is now called the "King Ranch Room.” His spirit has been seen walking straight through the wall where the door to his room was located prior to remodeling. A woman named Sally White is the most frequently seen Menger ghost. Once employed there as a chambermaid, she had an argument with her husband and on March 28, 1876, he attacked her in the hotel. She died two days later. Her funeral was paid for by the Menger. Perhaps in gratitude, Sallie continues to carry out her duties. She is often seen in the Victorian wing of the hotel, wearing a long gray skirt and a bandana around her forehead, typical garments for a maid in her time. She usually appears at night, walking the hallways with clean towels in her arms. The Menger ghosts span many time periods, including a Spaniard, a Confederate Officer, a frontiersman in buckskins and a gent in a top hat. There are numerous stories of apparitions sitting in the lobby, “helping” in the kitchen, or appearing in guestrooms. How startling it must be to wake up in the middle of the night and feel a ghostly maid smoothing your bedcovers, or to step from your shower and see an entity arguing with another unseen presence . . . before disappearing into thin air. All together, the Menger claims to house 32 individual ghosts. I’ve long wanted to stay at the historic hotel, but after learning about its haunted reputation, I’m not so sure. I’m kind of a scaredy cat. Still, getting to see Teddy Roosevelt or Captain King, or the tragic figure of Sallie White might be worth a few shivers down my spine. How about you? Would you risk it? For my article today, I thought I’d do something a little more interactive. How about a little trivia game? For my latest book, I did a lot of research about the Oregon Trail. How’s your knowledge about the trail? These are multiple choice questions, and I will post the answers on Sunday. To make it fun, if you leave your answers in the comments, I’m giving away a kindle copy of my newest release, Come Home to Me – release date October 17, 2012 to the first commenter with the most correct answers. (be sure to include your contact information) Thanks for playing! 1. What was the major “jumping off” point of the Oregon Trail? 2. What was considered the end of the trail in Oregon? 3. In what month did the pioneers prefer to begin their journey? 4. About how long is the Oregon Trail? 5. What were the two most common causes of death on the Oregon Trail? 6. What was the most common disease that killed the emigrants? 7. Which was the most difficult mountain range to cross? 8. What is the name of the geological formation that the pioneers wanted to reach before July 4th to beat the winter snows? 9. Why were oxen preferred over horses to pull the wagons? 10. About how much did it cost the average family in the 1840’s and 1850’s to finance a trip on the Oregon Trail? 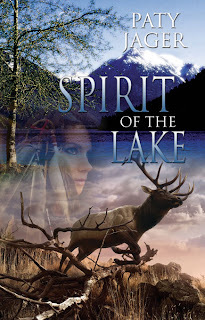 The second book of the spirit trilogy, Spirit of the Lake, deals with the seasons and the nomadic life of the Nez Perce. The hero Wewukiye (Way-woo-key-ya), the spirit of the lake, saves a Nez Perce maiden, Dove, from drowning when she tries to take her life after discovering she is with child from an attack by a Whiteman. The course of the story takes place over the nine months of Dove carrying the child. Wewukiye has determined that the birth of the child will prove her story and the Whiteman's deceit to the Nez Perce leaders who believe the man is their friend. Wilupup = January Time of cold weather, blizzards. Latit'al = March Season of first bloom of plants. New life begins. Q'oyxt'sal = April Season of high rivers from melting snow. Q'eq'iit'al = May Season of first root, Q'eqiit harvest. Hiilal Tustimasat'al = June Season of moving to higher elevation to harvest roots. Season of bluebark return. Taya'al = July Season of Tayam (hot) days of summer. Piq'unmayq'al = September Nat'soxiwal Season of fish return to rivers for cold weather. Hoplal = October Season of cold weather. Tamarack turn yellow. Sexliwal = November The buck deer 'running'.Large animals mate. Season of leaves/plants discolor. Haoq'oy = December Season of doe carrying fetus. No hunting of female game. Spirit of the Lake starts in the Season of fish return to rivers for cold weather and ends Season of first root. One thing I discovered because the different bands of the Nez Perce tribes were separated and had different neighboring tribes there may be more than one Nez Perce word for the same English word. And depending on where the Nez Perce word was translated, more than one English spelling. Two generations after his brother became mortal, Wewukiye(Way-woo-key-ya), the lake spirit, prevents a Nimiipuu maiden from drowning and becomes caught up in her sorrow and her heart. Her tribe ignores Dove's shameful accusations—a White man took her body, leaving her pregnant, and he plans to take their land.Wewukiye vows to care for her until she gives birth, to help her prove the White man is deceitful and restore her place in her tribe. As they travel on their quest for justice, Dove reveals spiritual abilities yet unknown in her people, ensnaring Wewukiye’s respect and awe. But can love between a mortal and a spirit grow without consequences? Wewukiye tugged her hand, drawing her closer. His warm breath puffed against her ear. "You need only think of me and you will have strength." His soft silky voice floated through her body like a hot drink. Dove swallowed the lump in her throat and asked, "When will I see you again?" The thought of sleeping on the hard ground next to the fire in Crazy One's dwelling didn't sound near as inviting as using his lap to rest her head. The days and nights grew colder; to be wrapped in his arms would warm her through and through. "You will find me at the meadow every day when the sun is directly overhead." He brushed his lips against her ear. She closed her eyes, relishing the silky feel of his lips and the heat of his touch. "Think of me," whispered through her head. Dove opened her eyes. She stood alone. Her palm still warm from their clasped hands, her ear ringing with his whisper. Bet you think this is going to be all about those lovely Calico Queens, don't you? Well, sorry to disappoint, but I got to thinking about the basic running of a saloon. Almost all western stories includes at least one scene in which the setting includes a bar. Some of these bars are located in remote towns so how did they come by their beer and liquor? With that question in my mind, I did a bit of research on breweries. To narrow my search I decided to look for historical breweries in Texas. The first commercial brewery opened its doors in 1845 in La Grange, Texas by Henry Ludwig Kreische. The history of the area is fascinating. Monument Hill & Kreische Brewery State Historic Site is now open to tourists and it's on my to do list as it's not that far from my home. There isn't much information regarding beer. Most breweries in the 1840s were small home operations. The Germans brought beer-making recipes and techniques to Texas and the majority of the beer brewed was a lager beer. Most of the breweries were then located in areas heavily populated by the German immigrants. Most beer was brewed in the winter as back then there was no refrigeration. Artificial ice wasn't manufactured until 1865 when they installed a Carré machine in San Antonio. I did research on real ice for Sarah's Brass Token and discovered they shipped big ice blocks by train from the North. To keep it cold, they used sawdust and rock salt as insulation. The beer industry evolved and in 1884, Lone Star Brewery opened the first mechanized brewery in Texas. Even my own grandfather brewed beer in his basement. One particularly hot day, the lids on all his beer bottles started to pop off and the loud noise was quite telling. He worried that the sheriff who lived next door might hear and arrest him on the spot. Well, he poked his head outside to see if his neighbor was headed over only to hear the distant popping from the sheriff's home as well. Seems the local sheriff was doing a bit of brewing himself. Prior to 1873, imported beer was brought in from Europe by way of ship to Galveston, then transported to various towns by wagon. Unfortunately, by the time the beer reached its final destination, the quality was sorely lacking. After 1873, many changes occured that allowed for a better product to be delivered to saloons and restaurants throughout Texas. Mechinary, manufactured ice or refridgeration, better techniques for pastorization, and the train all helped in shaping the making and transporting of beer. Whiskey was another matter all together. And yes, I had a great uncle who took to moonshining during the prohibition days as well. Anyway, saloons in well-established towns with lots of customers could afford to supply a vast variety of liquor, wine, and beer while saloons in smaller, off-the-beaten-track towns probably had to resort to servings of rotgut. Interestingly enough, the local option laws of 1876 and 1891 forced many legal saloons to close their doors. I don't usually think of prohibition happening before 1920 but I suppose if you plan to put in a bar scene in your stories, you should be sure and check the liquor laws for that particular town. What you find might surprise you. So belly on up to the bar and enjoy a cold brew and remember that it wasn't so easy in 1840 to come by the tasty beverage. Kane clinked his empty glass against Brewster’s. "Here’s to women." "So—you were going to tell me why you’re in here drinking. Something aboot a fight with your fiancée." "Yep." He waved the glass about. "She made me mad. Wanted to accompany Shauna on her escapade, and I wouldn’t let her. Lora Lee still hasn’t forgiven me. I wouldn’t loan Shauna my wagon either. I thought that would be enough to discourage Shauna from going as well. Who’d have thought Miss Spendthrift would part with coins to rent a wagon? Were they any good?" "What? Oh, the pies?" Kane frowned. "I wouldn’t know. I doon’t much care for pecans, but my men devoured them. Too bad they took ill shortly afterwards." "Well, it wouldn’t have been Shauna’s baking. She’s one of the best cooks in the county." He leaned closer and put his hand to his mouth. "Don’t tell Lora Lee, but I like Shauna’s cooking more than I like hers. Yep, Shauna might not be the prettiest filly in town, but she’ll make some man’s stomach very happy." Kane stared at his empty glass and decided he might just need another. He held it out for the barkeeper and admired the stream of golden liquid. Fortification for a guilty conscience. He still didn’t know the full story behind Shauna’s actions, yet already he suffered a severe attack of conscience. He hung his head. "I accused her of poisoning my men." Brewster shoved his shoulder. "You what?" "What else was I to think?" "Well, you can go to the Clevingers’ home and apologize to her tomorrow." "I could, but she woon’t be there. The Clevingers sent her packing this evening." Brewster slouched and laid his head on the bar. "Oh no, Lora Lee will never forgive me now. If I’d escorted the women today like they wanted, this might not have happened." He raised his head. "Do the Clevingers know about the child?" Kane downed the shot of whiskey. "I thought you said she was noot pregnant." He was very confused, and the whiskey wasn’t helping to straighten things out.